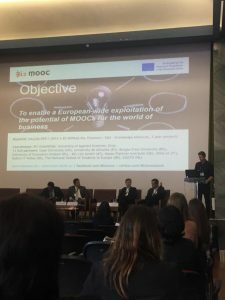 On Thursday, 14 February 2019, BizMOOC was presented as good practice in the session “University-Business cooperation for increasing international outreach and cooperation” at the Thematic University Business Forum in Lisbon. 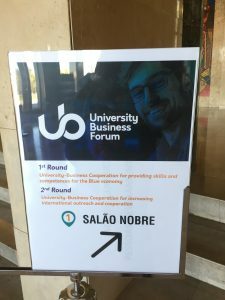 The University-Business Forum was created in 2008 by the European Commission and aims to discuss and reinforce the cooperation between academia and companies at European level. 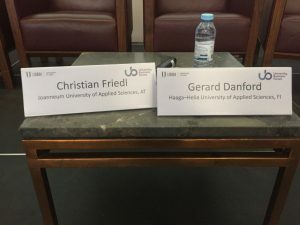 It was inspiring to meet with practicioners from business and researchers from academia to discuss and a truely honour that BizMOOC was invited to such an event.